Golf course architecture is a subject that I have just recently gained an appreciation for. Most of my golf life involved playing municipal courses in my home town, college town, and now in my current home town where I work professionally as a design engineer. 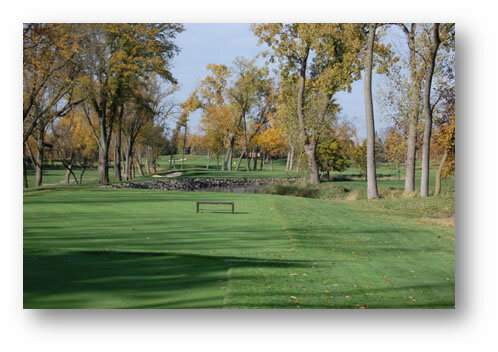 Municipal courses typically consist of tree lined fairways that are wide and forgiving, flat greens, and few bunkers and water hazards to deal with. In these types of layouts, players can typically take a "Tin Cup" approach to the game and "grip it and rip it" as there is no trouble to avoid. With not much variety in the course layout, you can find yourself feeling like the track is just too repetitive. I have been playing golf regularly now for 25+ years, but in just the last 10 years my eyes have been opened to some quality golf experiences. During this time, I have had the opportunity to play courses designed by some of the great architects of the past and present. On a recent trip to the Midwest, two fellow golf course gurus, Billy Satterfield and Spencer Ellis, and I played 17 courses in 10 days starting in Chicago and working our way south to Atlanta. Butler National and Victoria National were two of the top courses that we played, and there were no slouches on this trip as more than half of these courses that we played are ranked in Golf Digest's Top 100 courses in America. The reason I highlight these 2 courses in particular is because the architect involved is none other than Tom Fazio, considered in the modern era as one of the leaders in his field. Of the current Top 100 in Golf Digest's rankings, Mr. Fazio has 15, 50% more than the architect with the second most designs. We all have our own guilty pleasures. Be honest, have you ever ate a chocolate covered almond, and stopped at just one? Me, neither. Maybe yours is Pringles potato chips, or peanut M&Ms. I was having a similar parallel having played these two impressive layouts while on this Midwestern trip. I wanted more because I knew that Fazio had other top rankings that I hadn't played. Since that trip, I have been fortunate enough to experience Gozzer Ranch located in northern Idaho in the Coeur d'Alene area; and Shooting Star near Teton Village in Jackson Hole, Wyoming. There are others that are on my radar that I hope to get to in the near future. One design principle that I have noticed on Fazio designs is options. 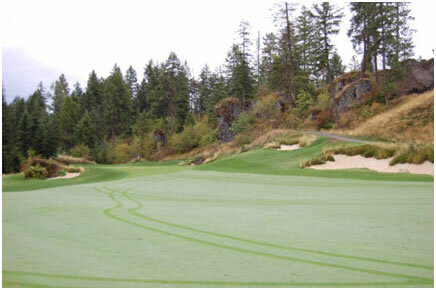 This gives the golfer the opportunity to use his imagination, as Fazio did his while designing these holes. An example of this is short, drivable par 4s. 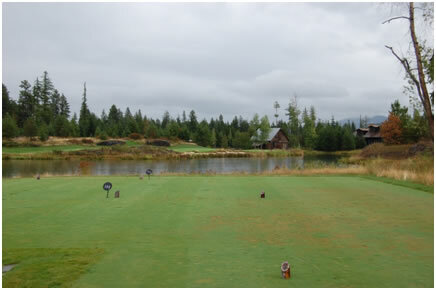 Photo 1 is Gozzer Ranch's hole #4 at the tee, which measures 287 yards from the tips. The fairway can be seen in the middle of the photo, but the green cannot be seen. Our forecaddie informed us that the green was just to the left of the towering pine tree that is on the right third of the picture. 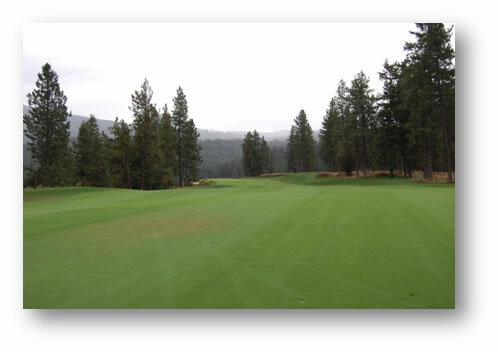 Photo 2 shows the green from the left side of the fairway. The two bunkers on the right side of the fairway are in line with the green from the tees, and so these must be carried if you take that aggressive line. As you can see, you cannot miss right as you may ricochet off from the basalt rock and end up anywhere, nor long as you would find yourself in the forest and unlikely find your golf ball. The green is only about 40 feet wide at most. This illustrates the risk-reward features on this short par 4, which is common on Fazio layouts. If you are not hitting your Driver straight on the day you play here, a long iron/sand wedge choice may be the best option. But if you're daring and catch it good, you may be rewarded with an eagle opportunity with the flat stick! Gozzer Ranch has a second reachable par 4, #12 on the back nine which is 355 yards from the back tees, but plays shorter than that because it drops in elevation from the tee to the green. This hole is probably my favorite design here because, again, the options that are provided to you. 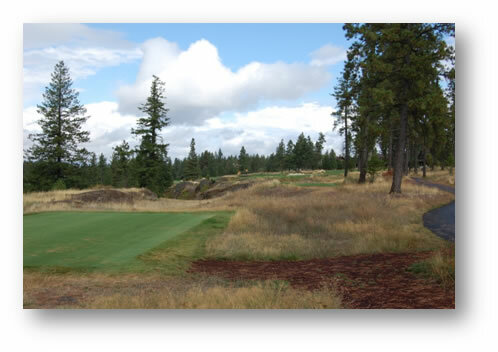 Photo 3 illustrates the two fairways that are presented to you. The left fairway is the aggressive approach that requires about a 270 yard carry of the 3 bunkers in the center of the picture. Once you carry these, the fairway slopes downhill to the left into the widest portion of the fairway. The danger here is if you happen to pull your tee shot taking this route, you will reach the point of no return as there is a drop off into the forest just a few yards left of the rough. The right fairway is the conservative approach as the carry from the tee to fairway is shorter, but will leave you a longer approach to the green. The day that I played here, I took the conservative approach to the right. The drive that I hit put me in the middle of the fairway, but I didn't hit it long or short enough as I was positioned directly behind that tall pine tree that is shown in the left side of Photo 4. I understood, at this point, why Mr. Fazio left this tree here. Unfortunately, my golf bag contained 14 implements . . . one of which was NOT a chainsaw, and therefore had to place the ball a little back in my stance and close down the club face of my 8-iron in an attempt to draw the ball around this tree. To my satisfaction, and to the forecaddie's astonishment (I don't believe he thought I could do it!) I put my ProV1 about 20 feet behind the hole, and made par. My playing partner, Bill Satterfield, took the more aggressive line and played the left fairway. He crushed his drive leaving himself only about 70 yards with his L-wedge. 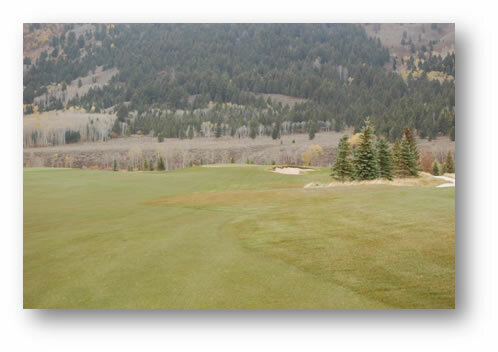 The danger on this green is that the design has a false front; the first 15 feet of this green had an extreme slope that any ball stopping within this distance was destined to roll back off the front of the green. The pin that day was only about 5 feet beyond the knee of this slope. Bill hit his approach to just a foot or two short of that knee, and his ball ended up rolling back off the front, from where he was able to get up and down for par. We were both satisfied with the pars that we made on this hole, but took completely different approaches in how we attacked it. 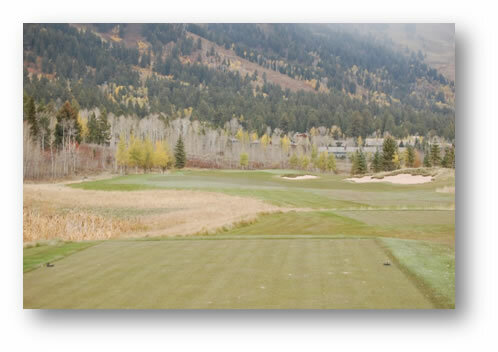 Just a couple of weeks ago, I had the opportunity to experience another of Fazio's courses in Teton Village located about 10 miles north of northwest of Jackson, Wyoming. You never know quite what to expect from the weather in Jackson Hole in October. I've been in the area when it's beautiful and in the mid-60's, and I've also been here when there's been a foot of snow on the ground. In either case, you are usually going to be provided with a gorgeous view of fall colors, and the Grand Teton range! The day that I was here, it was overcast, and threatening with snowfall. When I exited my vehicle and one of the caddies grabbed my clubs out of the back of my car, I wondered if I should just have him put them back in! It was overcast and about 45 degrees . . . not perfect playable conditions, but it was my opportunity to experience Shooting Star . . . so I parked my vehicle. Shooting Star has one of these drivable par 4's in hole #8. This particular hole didn't have the difficulty as pronounced in the two drivables at Gozzer, but still had enough teeth in it to question whether to pull the long iron. The hole is fairly flat, with one large fairway bunker to the right, and one green-side bunker. The undulations in the green, as well as mounding around the green in the chipping areas, made for difficulty in the short game. Out of bounds lingered only about 10 yards beyond the green, so if you are going to hit Driver, you will need to be careful of hitting through the putting surface. The next topic about Fazio designs that I would like to touch on is the long par 4's that he creates, and the ideas, in my opinion, that he incorporates into the layouts. It's obvious on near 500 yard par 4's that the advantage is going to be to the long hitter. Often times, these holes will have doglegs in them that will require an extreme carry to clear bunkers or water hazards that are strategically placed. The successful big hitter will leave himself a much shorter approach, likely a mid-iron, into the green. The shorter hitter cannot cut the corner, but will typically have a larger landing area for his tee shot thus providing his second shot from the short grass of the fairway. Typically, these longish holes will have little trouble around the greens possibly with no bunkers. If a bunker is placed next to the green on these holes, the green is usually only protected on one side allowing the player an area to miss. 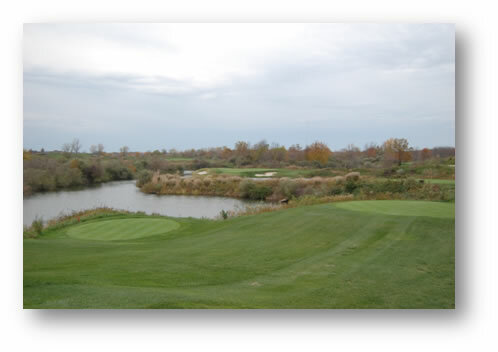 A good example of this type of a hole is #6 at Victoria National, shown in Photo 6 from the teeing ground, and again in Photo 7 from the middle of the fairway to the green. Notice from these pictures that there is not a single bunker placed on this hole. However, it does require about a 220 yard carry from the tips just to get to the fairway, so you better not miss-hit your tee shot here! With this hole measuring 474 yards from the back tee box, the average player is going to have to hit a long iron, or possibly a fairway wood to get on in regulation. Fazio makes this hole playable for players of all skill levels by not placing bunkers, nor water near the green. Surrounding this green with hazards of any kind would require a high approach to land softly which would only favor the long hitter. Keeping it open like this evens the playing field for the shorter hitter. Another one of Fazio's designs that include a long par 4 is Shooting Star's #5, which measures 532 yards from the championship tees, and even 514 yards from the black tees. The visual from the tee box on this hole is shown in Photo 8. This massive two-shoter requires a bombed drive to clear the pair of bunkers in the center of the fairway. A good tee shot on that line will leave mid-iron into the green. If you are not willing to take the aggressive line and play to the right, you are going to be left with a lengthy approach and probably won't be able to play an iron if you expect to reach the green in two. The picture in photo 9 shows the approach to the green on this hole. I personally played my tee shot to the right of those bunkers and was left with this shot from where my ball came to rest. With my laser, I was able to shoot the distance to the pin, and was left with 270 yards. So, as I described earlier, taking the safe route leaves a very long second. This hole illustrates the design features of a typical long par 4. There is a bunker just right of the green which allows the golfer an area to miss if he wants to avoid the sand. Another design feature shown in this picture, that I will allude to later in this article, is the infinity green. 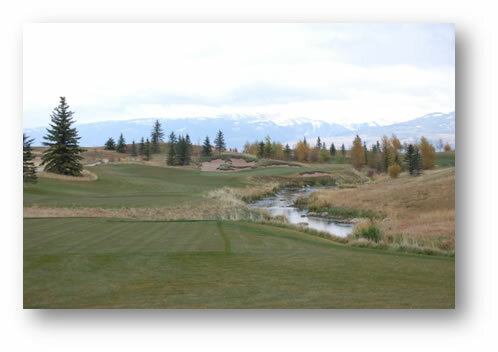 Notice that it looks like the green sits on an edge with the Teton mountain range in the background. This gives the illusion that you cannot miss long! The final hole of this type I'd like to present is the finisher at Gozzer. This uphill 495 yard two shoter is disguised very effectively as you cannot see a blade of grass on the fairway from the tee, as you can see in Photo 10. Fazio effectively places a fairway bunker at the right location on the side of the mountain so that the golfer has a point of reference for targeting. Our forecaddie instructed us to aim at the left edge of this bunker. As I recall, this is the only hole on Gozzer that had a "blind" tee shot. 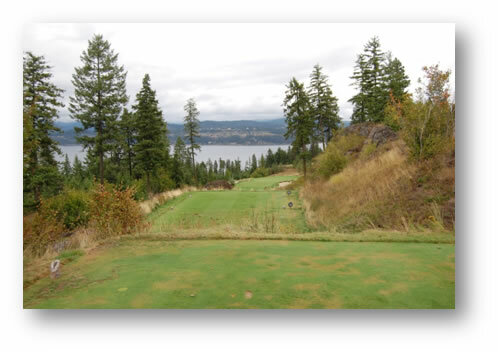 After you climb the hillside and reach the fairway, this shot in Photo 11 is what you have for your approach. Something that you will notice in some of Fazio's designs is the "hair" or fescue grass that is left around the edges of his bunkers. 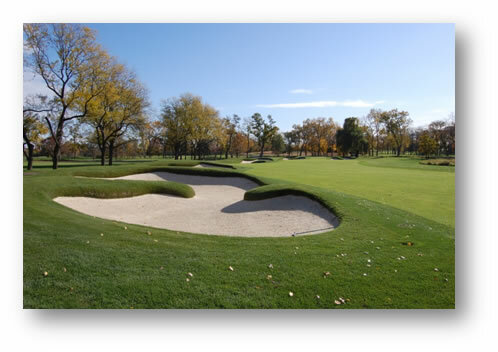 These bunkers have "jagged" edges as opposed to smooth, rounded edges that are created on other course layouts. To say that one is better than the other is not my intent here. I believe that it depends on the surrounding property, and the wild growth that is natural to the area. This fits here as Gozzer is set in the mountains, whereas Butler National (co-designed by Tom Fazio with his uncle, George) is located within the suburbs of Chicago. Photo 12 is taken from the 7th fairway at Butler National and these bunkers have that smooth groomed look to them. This works aesthetically with the surroundings here; more of a park-like feel. Getting back to infinity greens that I had mentioned earlier, this is a design look that Fazio has used at other locations, and not just at Shooting Star that I previously referenced. In fact, Gozzer has two holes that use this effect very, very well. 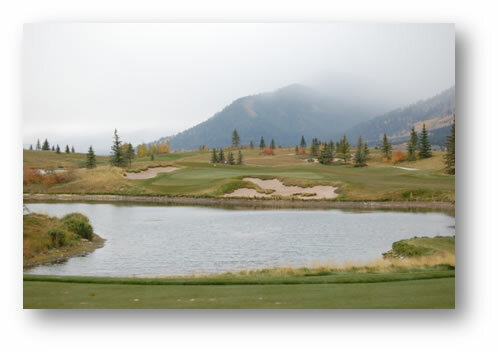 Hole 11 uses the backdrop of the mountains as shown in Photo 13. Club selection for the approach here requires the player to trust the yardage as opposed to the "look" of the green. With the distant backdrop, the hole tends to feel shorter than it really is. Can you imagine playing a hole like this before yardage markers became the norm? It certainly seems to me like many second shots here would leave the player with pitch shots from short of the green if that were the case. Hole 15 at Gozzer, probably the most photographed hole on this property, is breath-taking . . . as shown in Photo 14. This par 4 is a shorter by about 30 yards allowing Mr. Fazio the luxury in adding more bunkers to protect the second shot. With beautiful Lake Coeur d'Alene in the background, that's quite a distraction to overcome as the golfer attempts his approach. I saved what I consider the best part of his designs for the finale . . . the Fazio par 3's. Challenging, picturesque, danger galore, never easy. Of the 4 Fazio designs that I have referenced in this feature, it would be difficult to try and pick the best one-shoter on the course. So, I'm just going to have to take my writer's privilege and indulge where necessary. 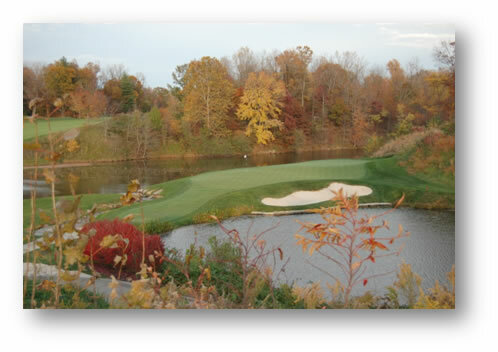 Probably my favorite Fazio design that I have played, (I'm going to have to use a word that I feel is often overused in everyday conversation) is Victoria National, which had 3 "awesome" par 3's, but will only show two of them in this write-up. 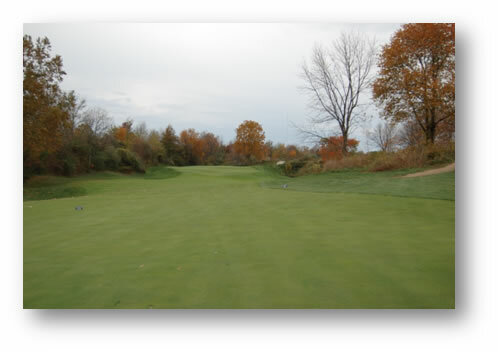 These are hole number 5, and hole number 16 shown in photos 15 and 16, respectively. The 418 acres of reclaimed mine land makes up the Victoria National layout. Lakes that are spring-fed from this restored land are used to frame the holes. There's something about water, wild vegetation, and sand that adds character to par 3's. Hole number 5 shows what the player is faced with as he steps up to the back tees. Whereas, hole 16's photo is actually taken from the cart path somewhere between 16th's green, and the tee box for the next hole. I think I could make a postcard with this one. These two holes are demanding as there seems to be trouble everywhere, but each of these holes is provided with an area to miss. Hole 5's bail out location is right, and hole 16's is long and right. It's always nice to know where you can miss. However, that is not the case in the photo below (Photo 17) of Butler National's number 8. Fellow gurus Bill Satterfield and Spencer Ellis and I discussed this hole in length about this very topic. As you can see here, you can't miss short (water), or right (more water), long (even more water), nor left (bunker). 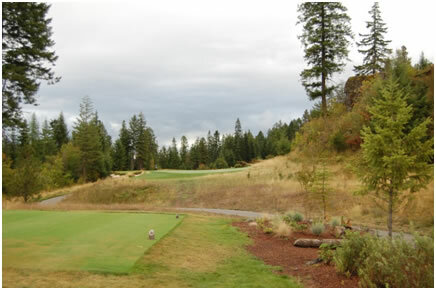 Notice the branches that come into play that border this tee shot, which come into play as you play this hole. From the tips, this hole measured 197 yards, and so I was left hitting a long iron here. With the trouble that is presented here, I believe a mid-iron at most should be what the player should be faced with. Had we played the member's tee boxes, we probably would have had nicer things to say about this hole. Maybe our pain was self-inflicted? 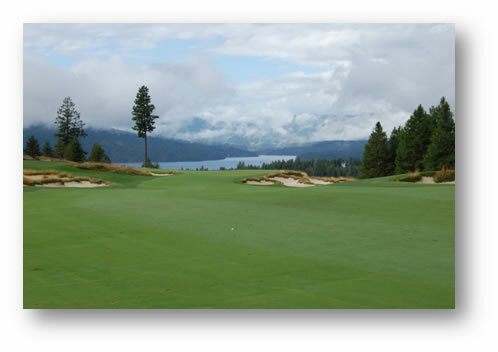 Heading back to northern Idaho, Gozzer had some impressive par 3's as well. 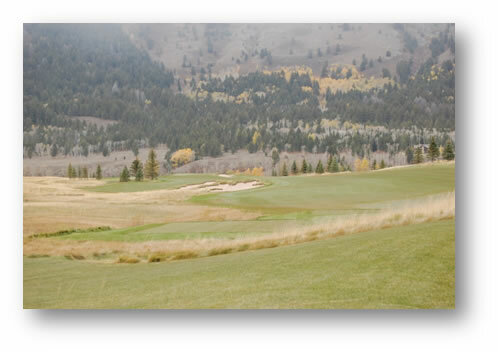 When Bill and I stepped up to the tee on #3, he told me about the first time that he played here at Gozzer Ranch. He had the opportunity to play with tour professional, Andrew McGee. When they got to this hole, Andrew explained to Bill that he has never met a downhill par 3 that he has ever liked . . . until he played this hole. As you can see from Photo 18, it's easy to get distracted and lose focus. I like the bunkers here both left and right of the green to catch errant shots. Without the bunkers, it would seem that any tee shot here not hitting the green would be difficult to locate the ball as it could easily be lost into the deep vegetation. 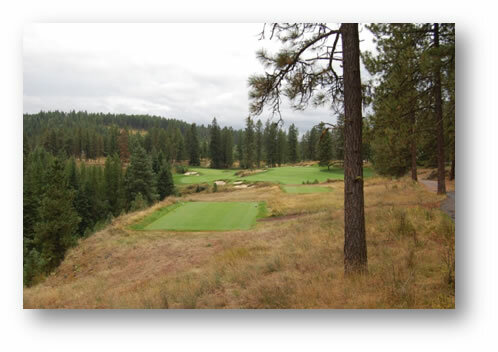 The second par 3 at Gozzer shown in photo 19 is #14. This gorgeous par 3 is framed by the water short, the basalt rock left, long white sandy bunker along the front and down the right side, and the food shack that is long and right of the green. A nice feature here at the tees is the small signs that are next to the tee boxes that provide the exact distance to the pin. This relatively short hole that measures just over 180 yards from the tips requires nothing more than a mid-iron; therefore, demands precision as there is trouble all around the green. This type of a design is best setup with a pin placement that is very near one of these hazards. Players trying to make birdie here taking dead-aim at a difficult pin location bring the possibility of scoring a big number. I like the options that a tough pin placement creates! Shooting Star has a pair of par 3's on its layout that are just as impressive as the designs previously reviewed, and both are on the back nine; number 10 shown in photo #20, and number 17 in the last photo, #21. If you are fortunate enough to have the opportunity of playing here either as a member or a guest, this is what you are presented with for your first swing on the back nine. The restaurant in the clubhouse sits just behind the tee boxes here, and this is the view that the diners in the restaurant get to enjoy while eating the fine food that is served. Mr. Fazio was asked with the vast amount of real estate, why would he place a par 3 when other hole options were easily possible. 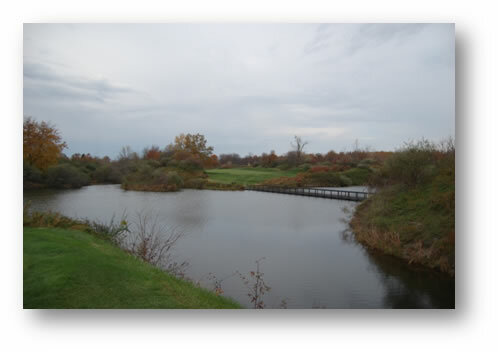 His response was placing a green just beyond the water of this natural lake provides a beautiful view of an entire hole for the members to view from the clubhouse. Notice the greenside bunker that sits between the green and the lake that gives the hole sort of a beach front feel. The design increases in distance as you work from right to left in the photo making "right" the direction to miss. Fazio's creativity is adequately displayed on this start to the inward 9 here at Shooting Star. If you go to Shooting Star's website, #17 is the background photo on their homepage, so I would assume that this is their signature hole. This par 3, from the tips, measures 266 yards! Obviously, those tee boxes can only be played by the best players in the world. One tee up, requires a tee shot of approximately 218 yards. This hole plays slightly uphill, and has a fantastic look to the player. The 3 bunkers that are located beyond the green effectively place a backdrop to this hole, and also provide a target for the player to aim at. The creek that runs from the tee up the center of the hole, and meanders off to the right of the green also adds to its beauty. 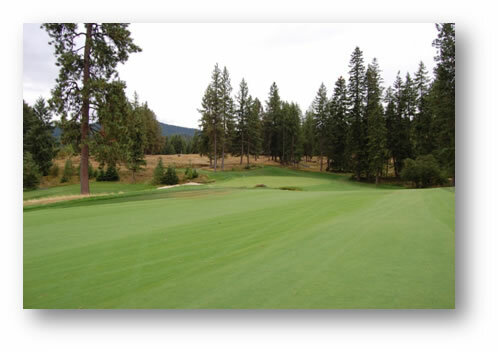 A large green helps in making the hole playable, but the contours of the green make par difficult to achieve. There are a number of differing opinions that I have read on golf course architecture. Some believe in the old school approach that the property should dictate the layout of the holes and very little earthwork should be done. Others like to "create" the envisioned hole that they see in their mind, and move as much land as needed to build it. Then, there is the real estate that is on beach front property, or the rolling hills and extreme elevation changes with natural lakes and streams where golf was just simply meant to be played. 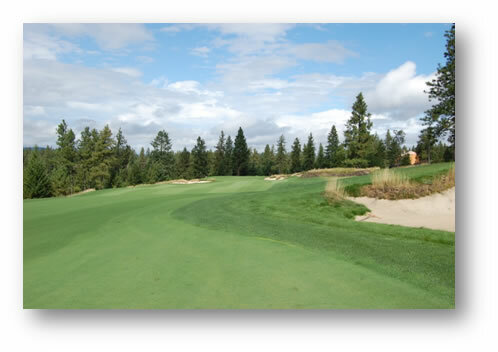 Whatever style tickles your fancy, you will find it on golf courses designed by Tom Fazio. The challenge, the variety, and the options that his layouts provide, always has me on the lookout for more opportunities to experience them. So, if you ever happen across a Tom Fazio design in your travels, take the opportunity to stop and play if time and circumstance permits. This is . . . golf at its finest!